Windflower spread over a sprawling 4acres of land offering a larger than life urban lifestyle with a blend of natural lake & lush greenery. The project offers a B+G+11 gated community comprising of exclusive amenities starting from a Modern gymnasium, roof-top swimming pool, amphitheater to Coffee shop, adda zone, pool table & convenience store to cater to the needs of the residents. 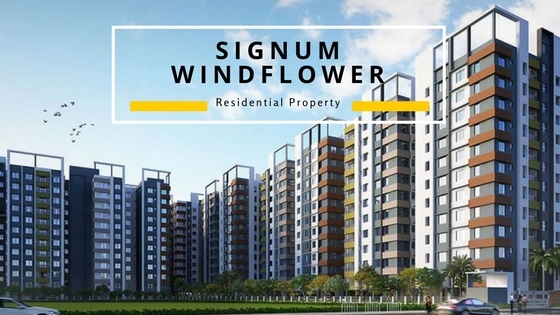 The layout of the project offers well ventilated 2/3/4 BHK apartments for sustainable living at affordable Signum Windflower price ranging from INR 24.22 lakhs to INR 47.05 lakhs. Signum Windflower location is worth the mention. Connecting Madhyamgram to Sodepur, the 4 lane expressways ensures easy access to the major parts of the city. The multi-connectivity in-roads for easy commuting and nearby Airport accessibility for frequent flyers put together a value proposition for home buyers. Talking about the railway routes, the upcoming Noapara Barasat Link metro route would prove to be the most convenient mode of travel backed up by the immediate connectivity via Sodepur and Madhyamgram railway station. The railway connection links Madhyamgram to major areas and to the rest of Kolkata uplifting the convenience to the next level. The stretch where landmark communities and commercial developments rub their shoulders with major educational and health institutions is fit for an upgraded and uncompromised lifestyle. Shopping malls and multiplexes are at close proximity with multi-connectivity through NH 34 and BT Road. From the house of one of the most reputed developers in Kolkata, Signum Windflower Kolkata is designed meticulously to surprise its residents with a life full of wonders. 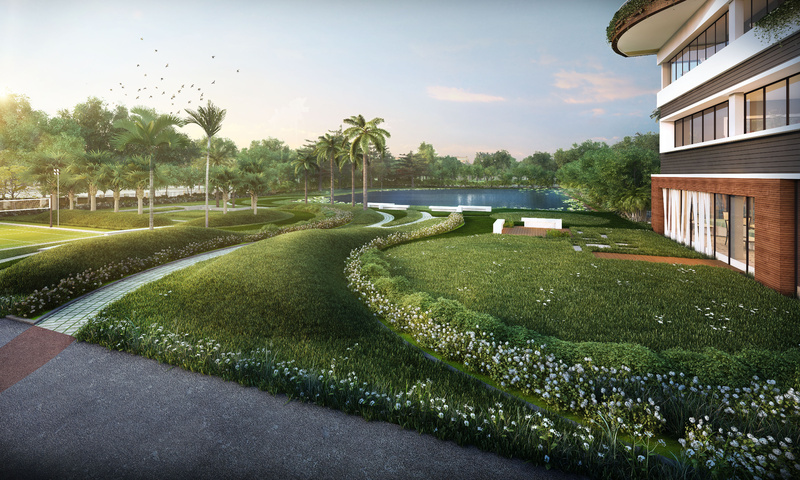 The 1.5 bighas natural lake and landscaped garden with walking track would certainly be an added comfort for the senior citizens living there. The children’s play area along with multi-purpose grass court gives kids of all age an opportunity to explore fun-filled social skills. Come home to an estate that exudes impeccable lifestyle with finest facilities. 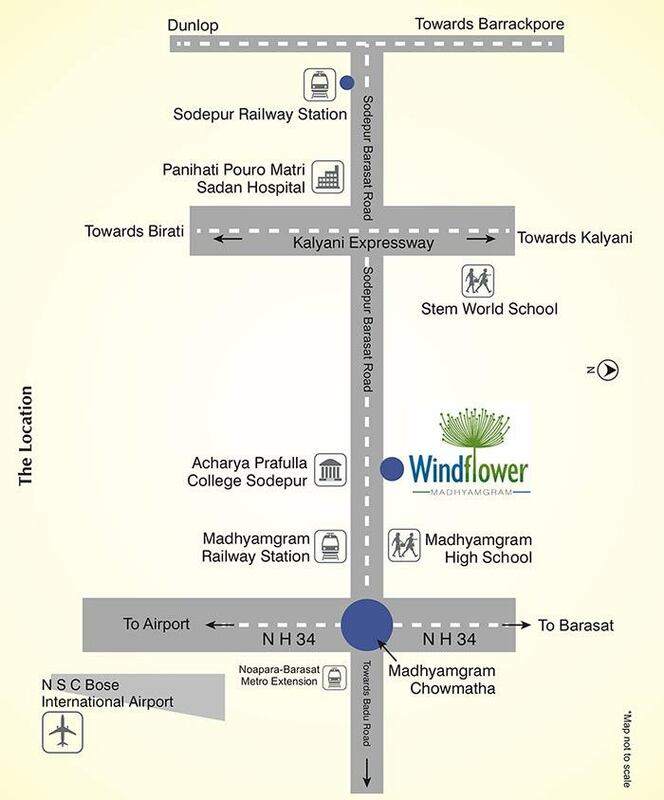 Renowned schools- colleges- shoping malls within range. Multi connectivity through NH 34 and BT Road.